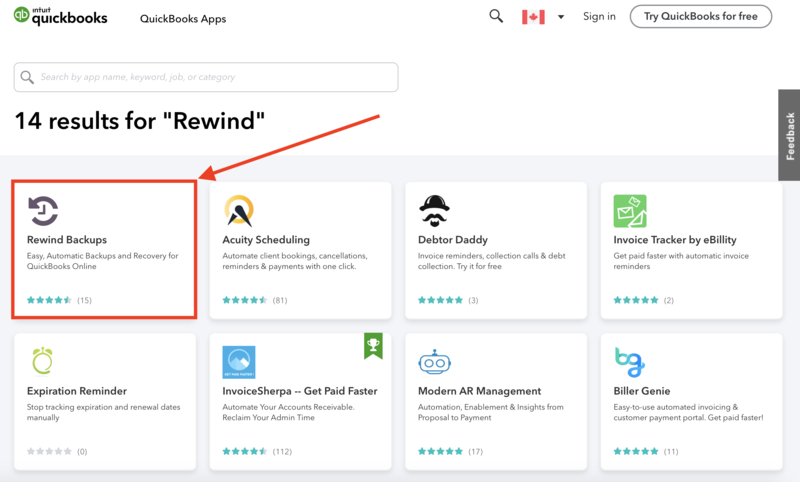 How can I leave a review for Rewind? 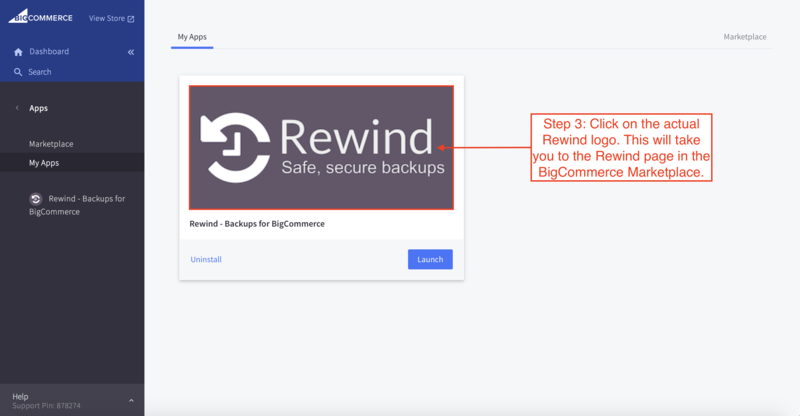 As the safety and satisfaction of our customers and their data is our top priority, Rewind's prosperity and growth is heavily reliant on the reviews our clients are kind enough to provide to us. Not simply meant for positive ravings (although we are always hoping to have made the customer that happy! 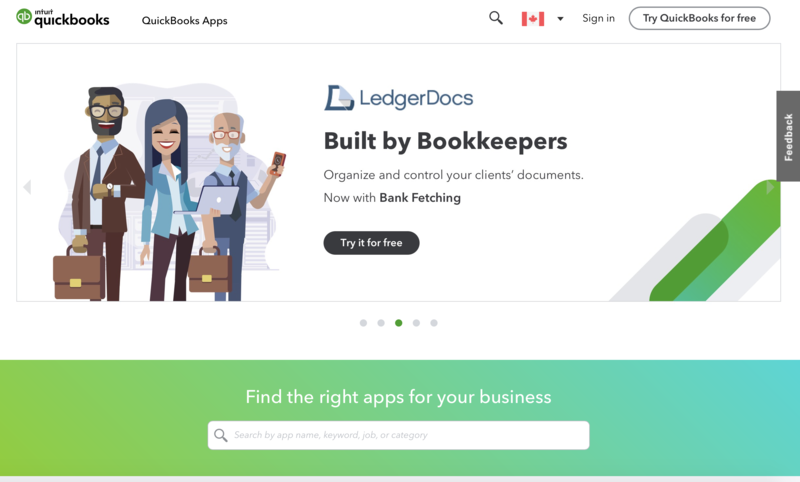 ), reviews allow our customers the chance to be able to bring to our attention any constructive feedback they can think of - which is vital to the development of our product and company as a whole. 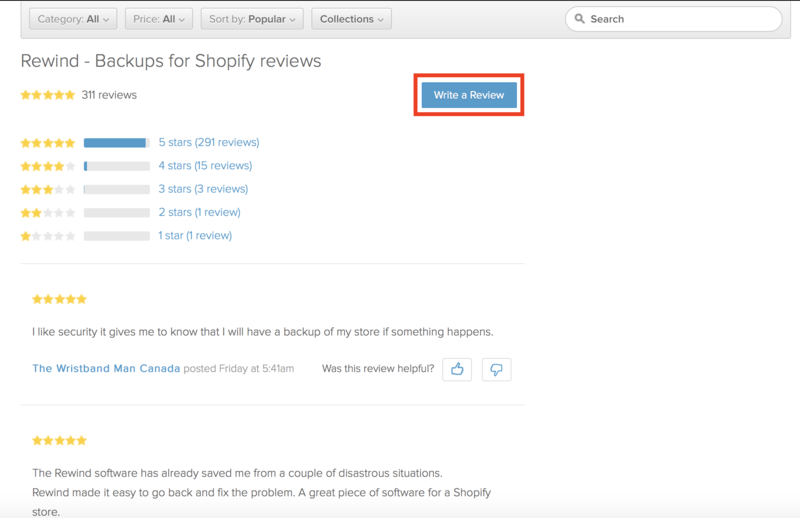 Please note that Shopify policy mandates that a customer be subscribed to a paid Shopify plan in order to be able to leave reviews for applications. 1. 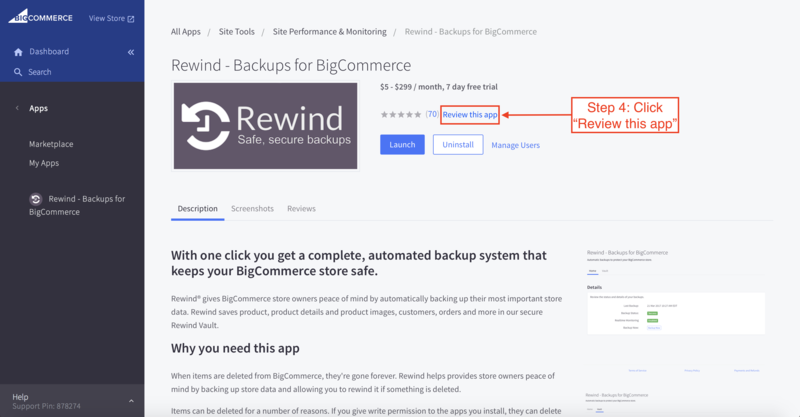 Go to https://apps.shopify.com/backup#reviews-heading to open Rewind's App Listing within Shopify. 2. 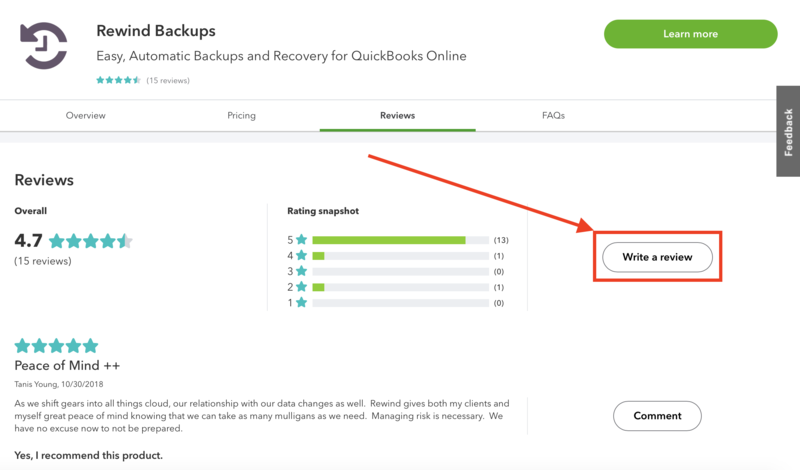 Click "Write a Review". 1. 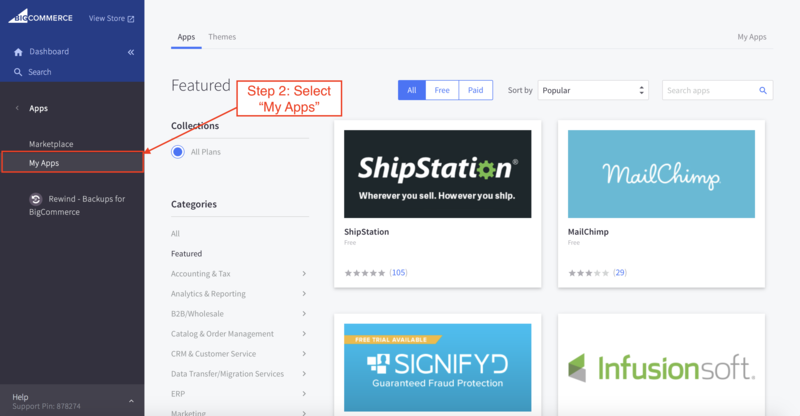 In the left-hand navigation of your store Admin, click on "Apps". 3. 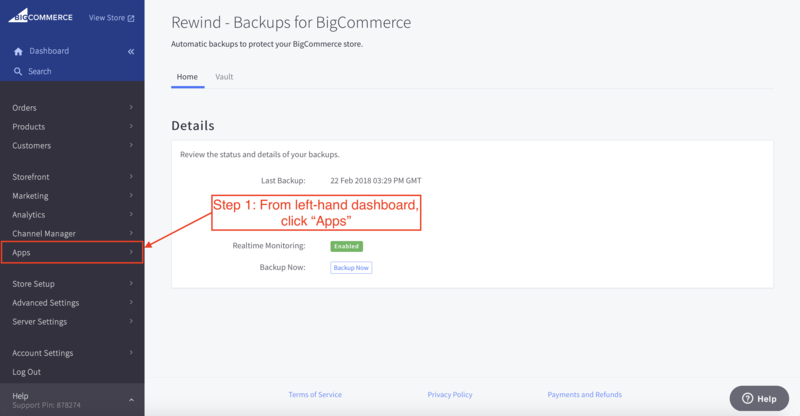 Choose "Rewind - Backups for BigCommerce" to open Rewind's App Listing in the BigCommerce App Store. 4. Click on the link to "Review this app". 1. 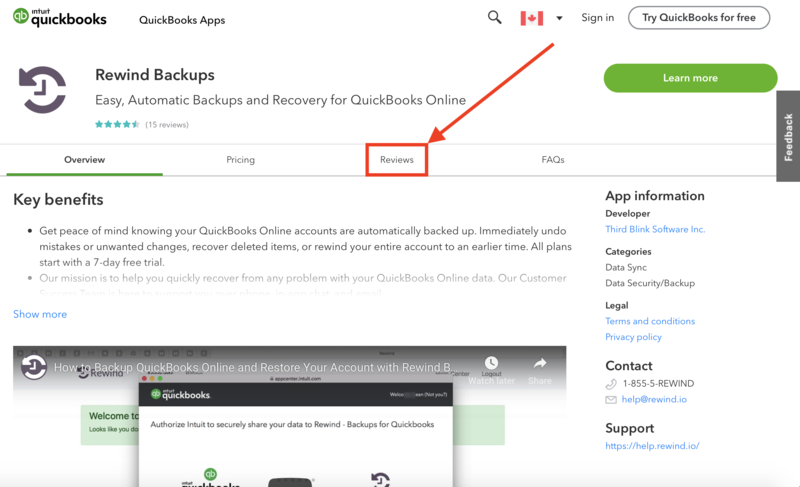 Go to the QuickBooks Online App Store: https://apps.intuit.com/app/apps/home.